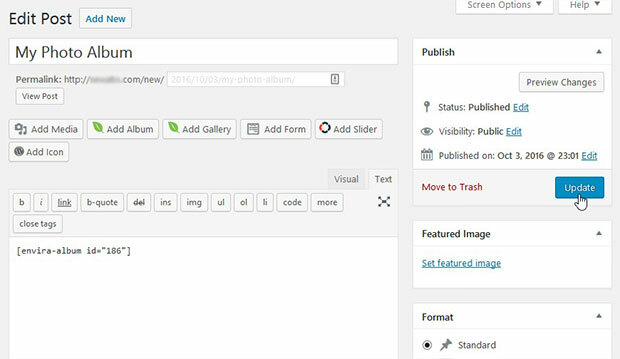 Do you want to display individual galleries differently inside WordPress albums? Sometimes you may want to display your galleries with different styles, even though they are located inside the same photo album. In this tutorial, we will share how to enable/disable lightbox for individual galleries in WordPress albums. 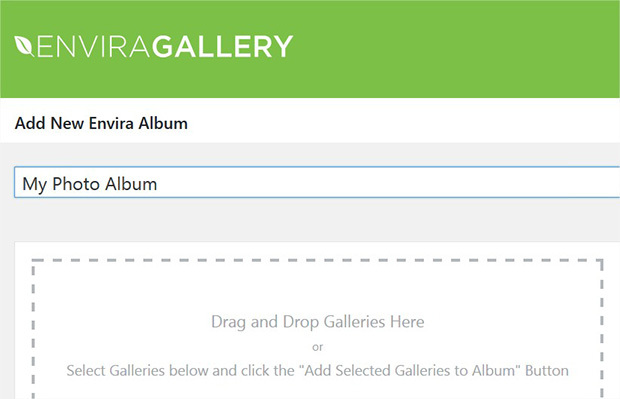 By default, WordPress does not allow you to organize photo galleries inside albums, so you’ll need a plugin like Envira Gallery. We have a complete guide on how to create photo albums in WordPress here. 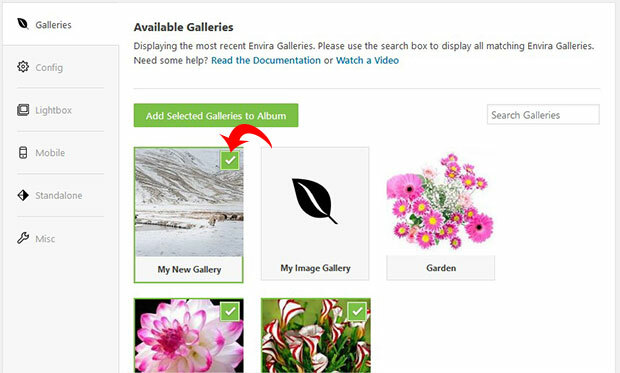 Each image gallery inside Envira photo albums has its own settings, so you can change those settings separately without affecting the entire photo album. 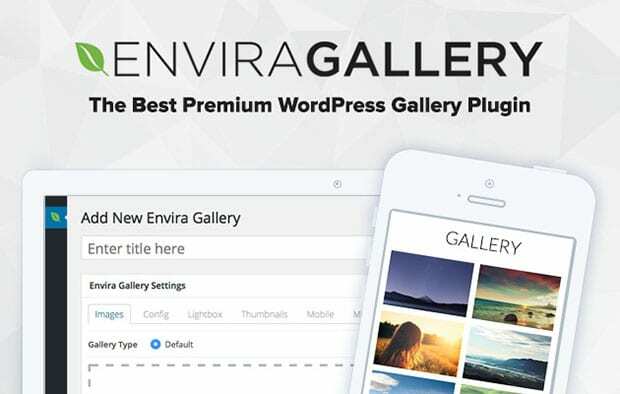 First thing you need to do is install and activate Envira Gallery WordPress plugin. If you want to know more about installation, then check out this guide on how to install Envira. 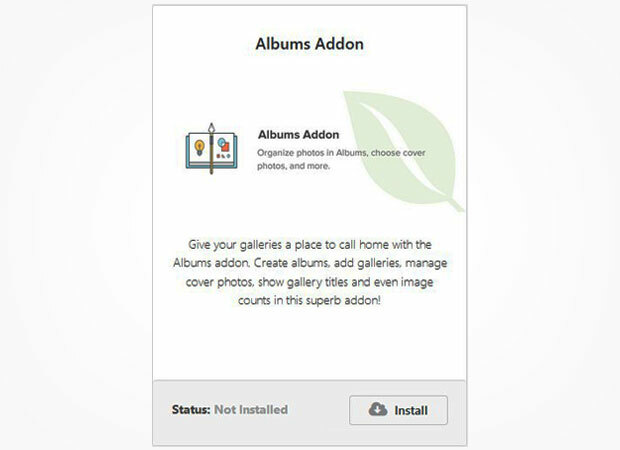 Upon activating Envira Gallery, go to Envira Gallery » Addons. Then install and activate the Albums Addon. To access this addon, you must have Envira’s Pro or Ultimate license. Check out this guide on how to upgrade your license for more info. Once the addon is activated, you can go ahead and organize image galleries into photo albums. To learn how to create individual galleries, check out this guide on how to create an image gallery with thumbnails in WordPress. To create a photo album, you need to go to Envira Gallery » Albums. Click on the Add New button, and then add a title for your photo album. Next, scroll down to add the image galleries that you want to include in this photo album. You can learn more about album settings in this guide on how to create a photo album in WordPress. Make sure to hit the Publish button, and then go to the next step. Now that you’ve created your album and added your photo galleries, go ahead and edit the image galleries one by one. To enable/disable lightbox for any of your galleries, scroll down to the Lightbox tab and check or uncheck the box to enable or disable lightbox view. You can also change the lightbox settings for individual image galleries. Next, go back to Envira Gallery » Albums and edit the photo album. 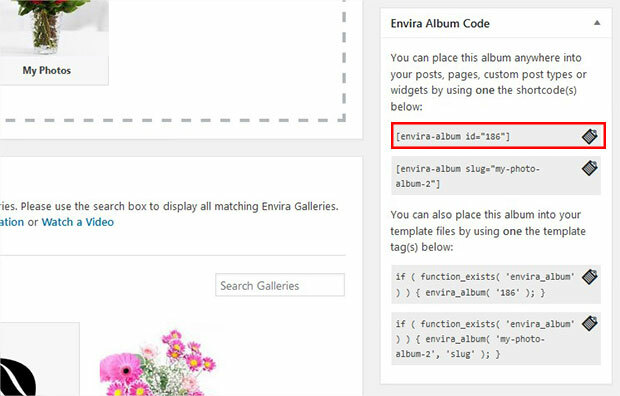 Copy the shortcode from Enivra Album Code widget. Then, edit a page/post or go to Pages/Posts » Add New. Paste the shortcode into the visual editor. Make sure to Update the post. Now you have enabled or disabled lightbox for individual galleries in photo albums. Go to your site to see the album live! 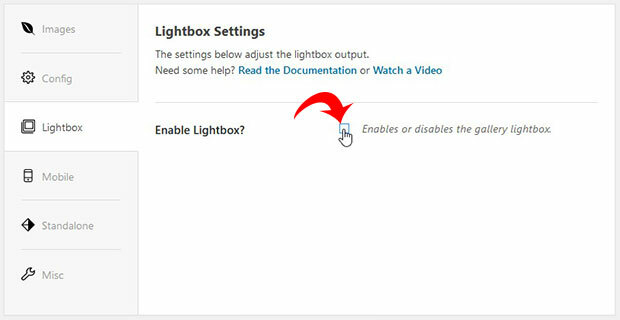 We hope this tutorial has helped you to learn how to enable/disable lightbox for individual galleries in WordPress albums. You may also want to check out our guide on what is the difference between albums vs galleries in WordPress. If you like this tutorial, then please follow us on Facebook and Twitter for more WordPress resources and guides.